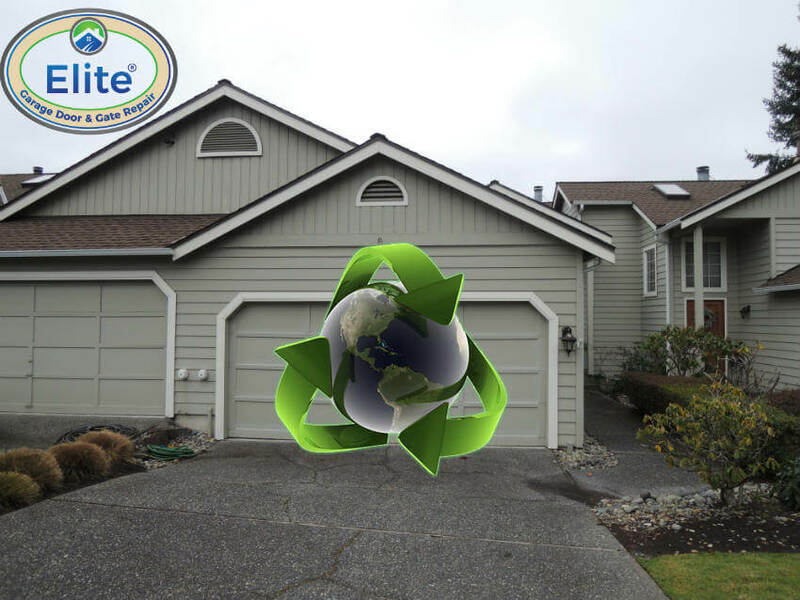 Can I Recycle My Garage Door? Yes You Can Do It! 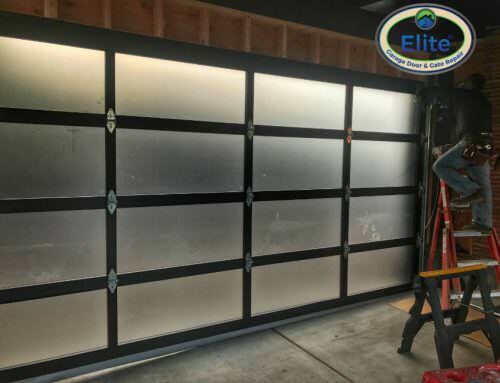 Elite Garage & Gate/Garage Doors/Can I Recycle My Garage Door? Can I Recycle My Garage Door? 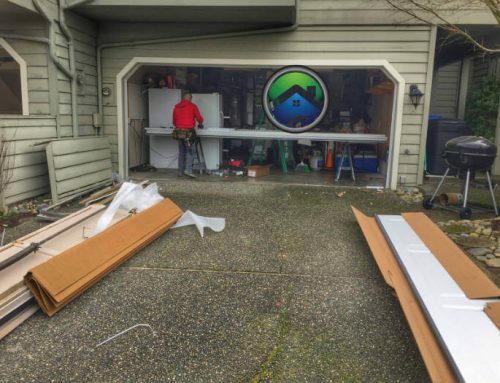 Up-cycle your old garage door to avoid filling your local landfill with unnecessary waste. You can sand, paint, cut your old panels into any number of shapes to make unique and functional additions to your homes like flower beds, outdoor patio furniture, end tables or footstools. You can also take your old scrap to a local metal composter who will gladly pay you per pound and type of metal. 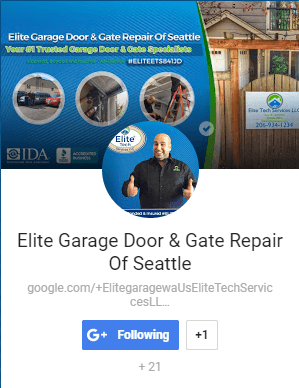 Is your old garage door falling apart and beyond saving? Do you want to upgrade to a sturdy, new automatic door but don’t know what to do with the old one? Don’t just throw it into the local dump, recycle it! Many times when an installer finishes putting in a new garage door on your home, you’ll leave with old, rundown and possibly unusable parts. That may seem inconsiderate at first, but for the installer, it saves them time from disposing of the parts during a busy day and gives you an opportunity to make some money. You can gather up these parts and take them to a Local Scrap Metal Composter. They’ll usually pay you to be weight, but before you drop down bags of seeming junk, you’ll want to try and separate the metals. Aluminum and Steel have different properties, like containing iron or not, and so the pay rate will reflect those differences. From the paneling to the tracks, casters, and bearings, you can make a few hundred dollars from the scrapyard which would greatly offset the cost of your new door. Recycling your components like this keeps your local landfill clear and is less of a burden on the environment. Maybe loading a hundred or so pounds of scrap onto a flatbed isn’t your thing. There are still ways to make use of your old garage door around the house. Wooden panels can be sanded, primed and painted for new projects like a new coffee table or ottoman. You can cut the wood and style it to use as wall art or create a cheap pedal board for that new guitar in your man cave. For metal doors, you can cut out the panels and use them as picture frames or hammer them into other shapes. There are just as many uses for garage door scrap outside. Maybe your Patio could use a new storage sofa, or you want to install a flower bed in front of your windows. The uses for leftover components are only as limited as your imagination. If your garage door is falling apart and you need to upgrade, don’t hesitate to give us a call. Our professional installers are ready to tackle any project and will gladly give you some tips on what to do with any leftover scraps. Let’s make your house, and keep the Earth, beautiful together. Cluttered Garage? Top 4 Ways to Declutter! 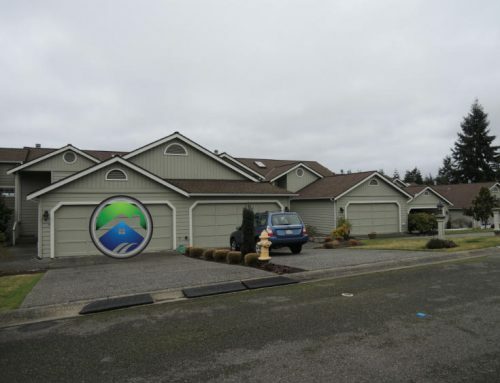 Is Your Garage Door Quiet Enough? 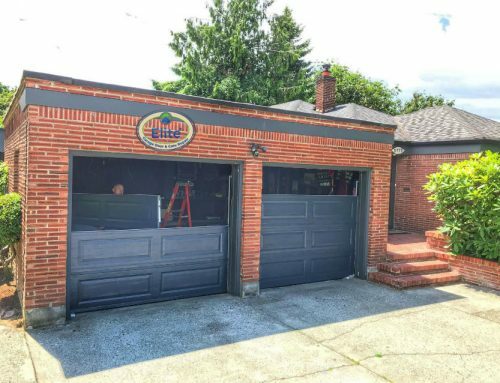 How Can Garage Doors Increase Community Resale Value?